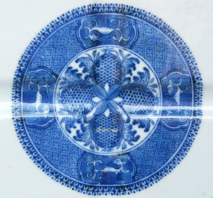 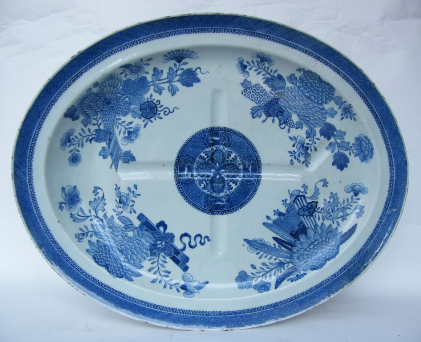 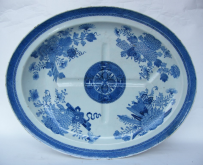 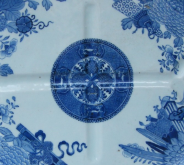 An Impressive Large Chinese Porcelain Hand Painted in underglaze blue Turkey or Meat Platter of oval form, depicting the Fitzhugh pattern. 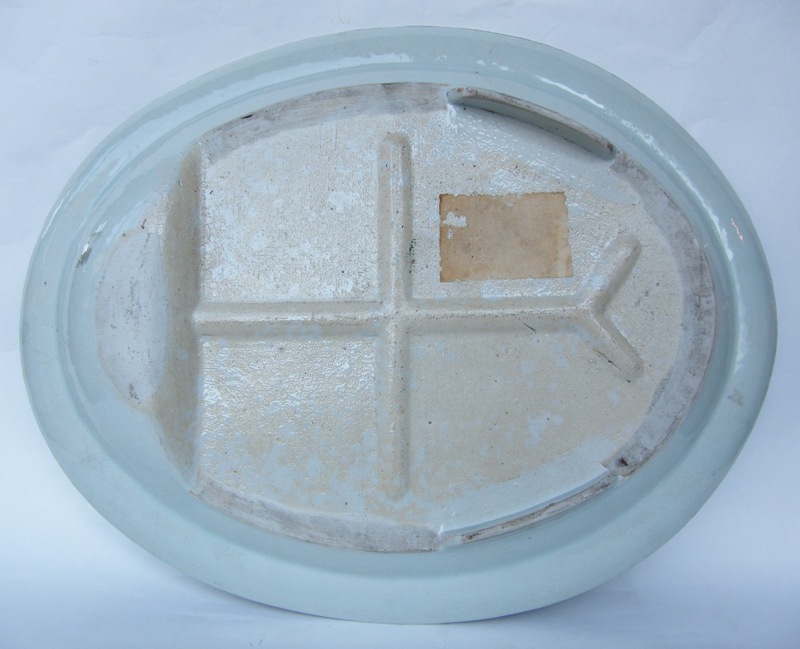 The main dish is moulded with tunnells and a small circular bowl to help drain off juices from the meat joint. 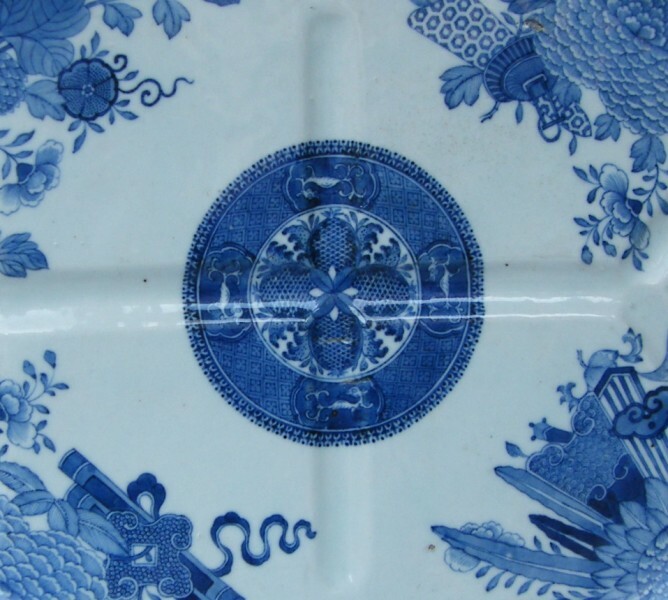 Last quarter of the Eighteenth Century. Width: (an impressive) 19.5" (49.5cm). Depth: 15.25" (39cm).